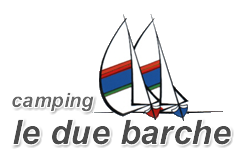 Contact | Camping "Le Due Barche"
The Camping “Le due barche” is placed on the beach of the City of Scanzano Jonico (MT – Italy) in Via Lido Torre nr. 33. Coming from Apulia (Adriatic Highway), exit Palagiano (TA) and take the SS 106 towards Reggio Calabria for about 40 km up to Scanzano Jonico. Coming from Campania (SS 407 Basentana) output Metaponto and then towards Reggio Calabria for about 20 km.